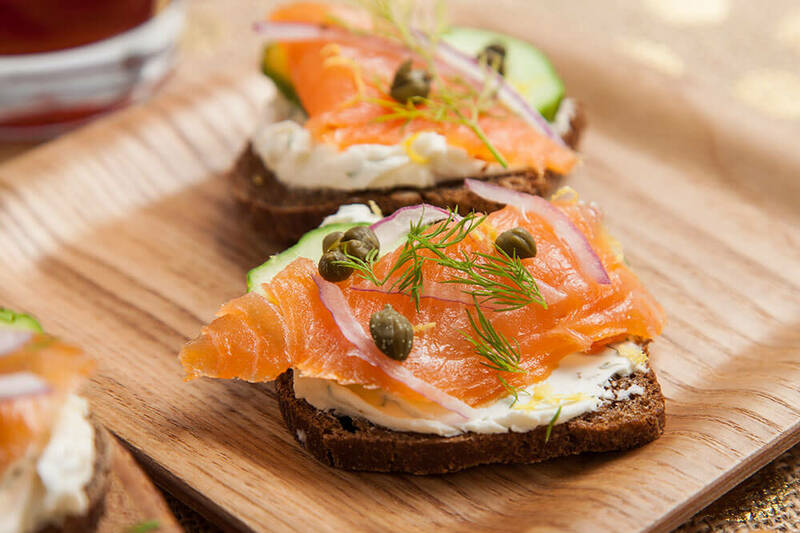 Flavoured cream cheese is the perfect platform to showcase fresh smoked salmon as an appetizer or brunch menu option. Horseradish Garlic Condiment - 1 tbsp. Combine cream cheese, diced garlic scapes, red onion, lemon juice, horseradish garlic condiment, garlic scape sea salt and pepper. 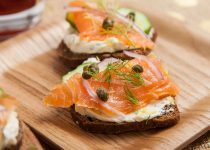 Spread on toast ; top with smoked salmon. Garnish with thinly sliced red onion, diced garlic scapes, and optional fresh dill.